Getting older feeling young and vital! In addition to a healthy lifestyle and a positive mental attitude, selected nutrients can help to feel more comfortable and powerful. However, a regular application, best quality of ingredients and the right dosage are necessary. Modern "anti-aging medicine" is focusing on natural nutrients such as collagen hydrolyzate, astaxanthin, lycopene, coenzyme Q10, glucosamine as well as vitamins C, E, and especially the "anti-aging" vitamine D3. With these micronutrients, the aging process can be delayed, and you will feel vital and full of life energy. 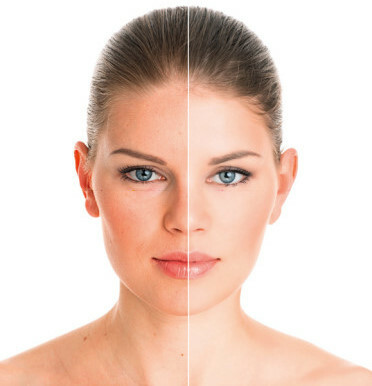 Skin consists of 70 – 80% collagen, which is responsible for skin elasticity, tone and skin moisture. 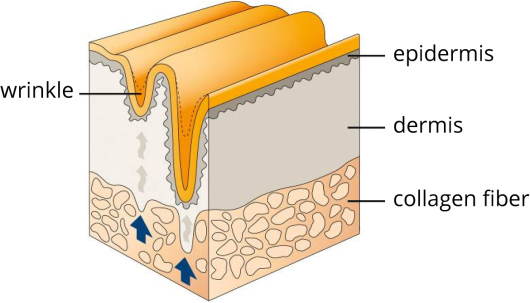 Collagen developes skin elasticity from inside. With the age of 20 we start losing more than one percent skin elasticity each year. Thus the capacity to store skin moisture diminshes. 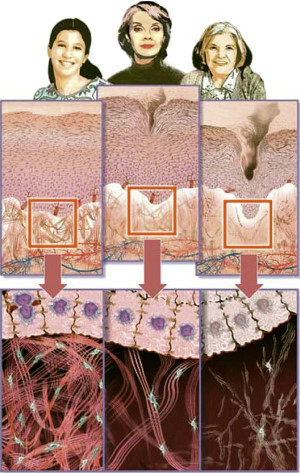 In menopause, this phenomenon even accelerates and the skin becomes more dry and sensitive. Studies proof that a regulare intake of 10 g of collagen hydrolyzate after 12 weeks will show a clear improvement of skin structure, skin elasticity and skin hydration (plus 28% skin moisture). 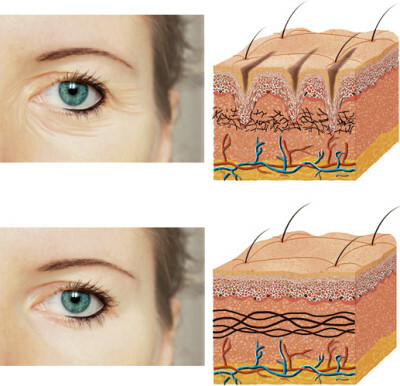 Wrinkles were significantly reduced by 26 to 30%! To build in collagen hydrolyzate properly in the skin, vitamins C and E, plus astaxanthin must be available in sufficient dosage. Not only for women. Men also may improve their performance and look. Vita Collagen Complex® is the perfect product to support his body and mental development.